Right now, it’s tempting for many of us to stick our fingers in our ears and sing, or babble, or just scream when the news comes on. We’re in the midst of a true political crisis, humans have all but wrecked the earth, and North and Saint Kardashian told Kanye that Kim was dead – as a joke. Sinister, right?! But don’t worry, there’s good stuff happening in the world too. We thought you could do with a large dose of positivity this month, so we’ve put together nine antidotes to bad news. As the people making work wonderful, it would be remiss of us not to begin with good news about the evolution of the workplace. Before the industrial revolution, between 80 and 90% of the world’s population worked in agriculture – and then factories started popping up, and the workforce began to migrate into manufacturing. Whilst manufacturing was less physically intense than agriculture, it was often intellectually unstimulating. As the 20th century progressed, though, the service sector picked up, and now almost 80% of the population in advanced economic countries work in services ranging from technology to healthcare to arts and entertainment. And the really good news about the service sector? As well as being generally more emotionally and intellectually fulfilling for most people, it pays better and is less dangerous than agriculture and manufacturing. We’re proud to be part of the worldwide work evolution. In March we joined the international community to celebrate women in all their glory. It might have been a long time coming and there’s no denying that there’s still a way to go, but it looks like we’re slowly but surely making progress towards a more gender balanced society. It’s particularly refreshing to see women being actively welcomed into traditionally male dominated roles. EasyJet is one organisation on a mission to become more gender balanced by 2020. 16 year-old Ellie Carter, who recently made history by becoming the UK’s youngest female pilot, is being mentored by EasyJet captain Zoe Ebrey as part of the airline’s initiative to recruit female pilots. In 1990, the world was introduced to a miracle: The World Wide Web. It’s easy to take this extraordinary beast for granted now that we have it at our fingertips 24/7 – but just 30 years ago it would’ve been impossible to imagine having the answer to any question you could think of in less than a second, or being able to spend face-to-face time with your friend on the other side of the world at a moment’s notice from the comfort of your own living room. It goes without saying that the internet is also incredibly beneficial to our productivity on every level, and allows us to work anywhere, anytime. By 2020, 52 percent of the world’s population is expected to have online access, pushing its potential for good even further. Granted, it has its downsides – but in general we’re pretty positive that the internet is something to smile about. Climate chaos is big in the news right now, and rightly so – our world is at stake. While the situation is scary to say the least, Nasa satellite images of India and China have recently revealed that in the most literal terms, the world is greener than it was twenty years ago. Some ambitious tree-planting initiatives and intensive agricultural programmes are to thank for this happy change, following a realisation in the 70s and 80s that the loss of vegetation in India and China could have very serious consequences. It just goes to show that when the right action is taken, perilous situations can take a turn for the better. The climate is in a critical situation – but the kids are determined to do something about it. Greta Thunberg has led an army of schoolchildren in a passionate movement that has swept the world and captured the imagination of all of us, including, we hope, the powerful audience of Greta’s rousing speech at the Un COP24 climate talks in Poland. The promise of change is heavy in the air right here in Brighton and Hove, too. In March we fizzed with pride and anticipation as we watched our young people pounding our streets for the future. We can feel proud of the UK for its contribution to breakthrough medical discoveries: we made world headlines recently when a man in London was potentially cured of HIV through a stem cell transplant, and UK company Owlstone Medical is amongst a group of companies investigating screening for early-stage cancer by breathalyser. Planet Earth can feel like a dangerous place at the moment, but a quick flick through the history books is a reminder that we’re not so bad off after all. Following a study of conflicts throughout history, Norway’s Peace Research Institute in Oslo has confirmed that the world has become a more peaceful place since the Korean War, with fewer people lost in armed conflicts than ever before. Technology is accelerating at a rate never seen before, and there’s a palpable feeling of anxiety in conversations around the future of AI. On the flip side, though, many of us already benefiting massively from the latest socially minded technology, such as Monzo, and we’re in the midst of several health breakthroughs including reversing paralysis with technology and gene therapy 2.0. Tech also has the potential to solve some of our future’s greatest challenges, particularly with regard to the crucial welfare of our planet earth. Modern humans seem to thrive on stories of threat and devastation, perhaps because we’re no longer at immediate risk of being hunted by another animal, so we’re seeking another outlet for our fears. As such, mainstream news tends to report on the bad stuff, because the bad stuff sells. Now though, another rhetoric is emerging. A growing number of scientists, thinkers and reporters are setting out to focus our attention on the good news; and believe it or not, there’s a lot of it. Cognitive scientist Steven Pinker uses real data in his latest book Enlightenment Now to prove that we’re living in better times than ever and argue for an optimistic future; and Hans Rosling’s Factfulness, published posthumously by his son and daughter-in-law, presents the facts to help us think clearly about the world. On a smaller but equally happy scale, Emily Coxhead’s The Happy Newspaper delivers regular celebrations of good in the world with cheerful news stories and sunshiney illustrations both online and in print. If you’re ready for a dose of hard positivity, turn your attention to these smiley pioneers. There aren’t enough women leading British businesses. One in five UK SMEs are female-led, while just 9% of UK startup funding goes to women. Hopefully the gears are grinding – albeit slowly – towards change but, in the meantime, PLATF9RM will do everything it can to support the business gals doing brilliant things in our city. (Don’t worry, guys – we still think you’re great too!). 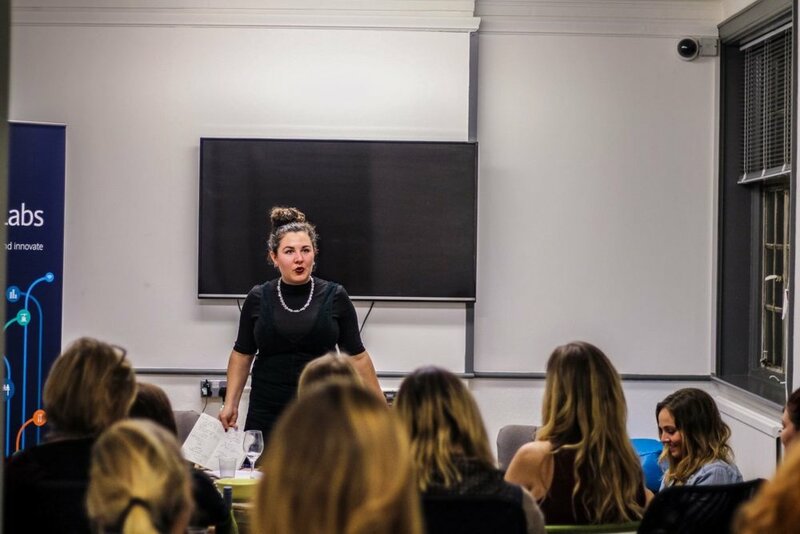 To round off our International Women’s Day month, here’s nine local women that are crushing it in the big, bad world of business. Best thing is: it’s just the tip of the iceberg! 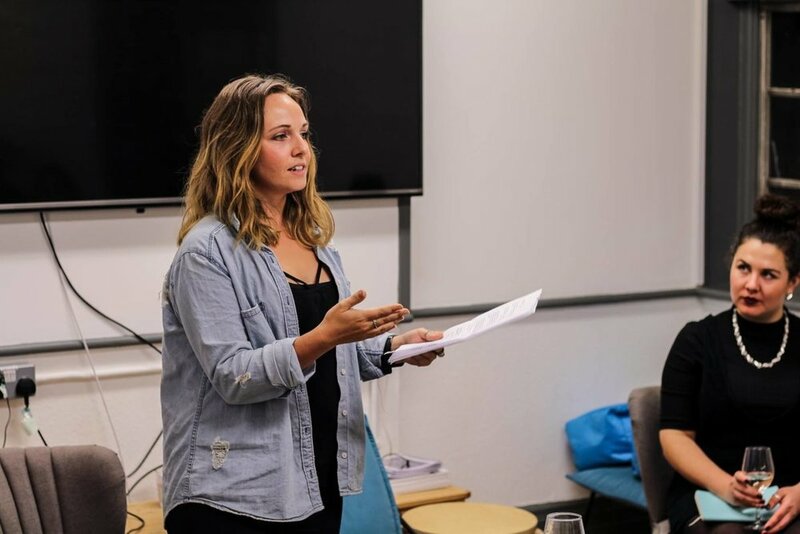 Brighton Digital Women are fast becoming one of the most influential groups in Brighton business. Founders Lana, Allegra and Rachel first met in 2015 after Rachel put a call-out on Twitter to see if any local female digital workers wanted to meet. Nearly four years later their community is stronger than ever, with their friendly monthly meet-ups a key focus. They did a hugely inspiring talk at our recent ‘Kickass Women’ event and they are, to put it bluntly, totally kickass. Jade’s training is in photography but she’s evolved her career way beyond this creative passion. 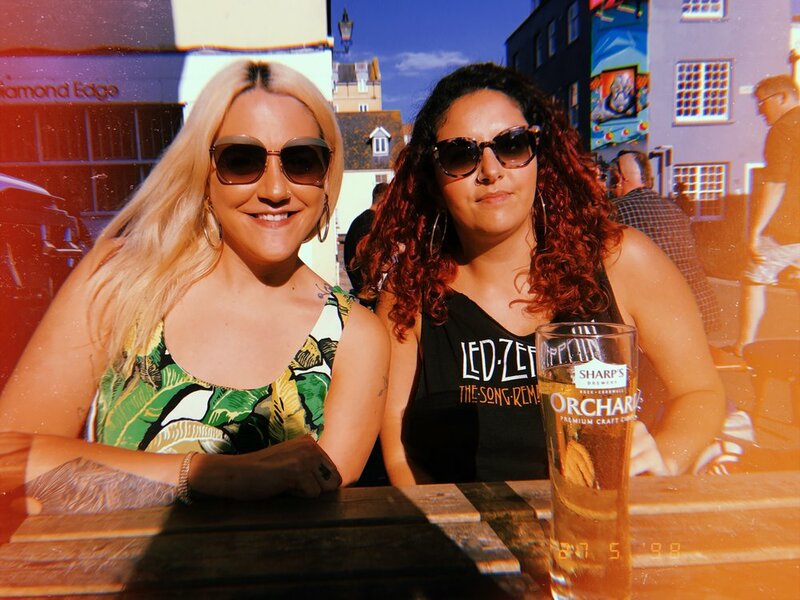 She created her first business, Little Deer, whilst studying: what started as an online vintage store developed into a business selling bespoke industrial furniture. Last year she launched online sunglasses store, Bop Sunglasses, and she’s also a small business mentor and Instagram coach. Oh, and a photographer too, of course. Christina and Kate are the reasons Tower Point members begin salivating around 11am every Friday. 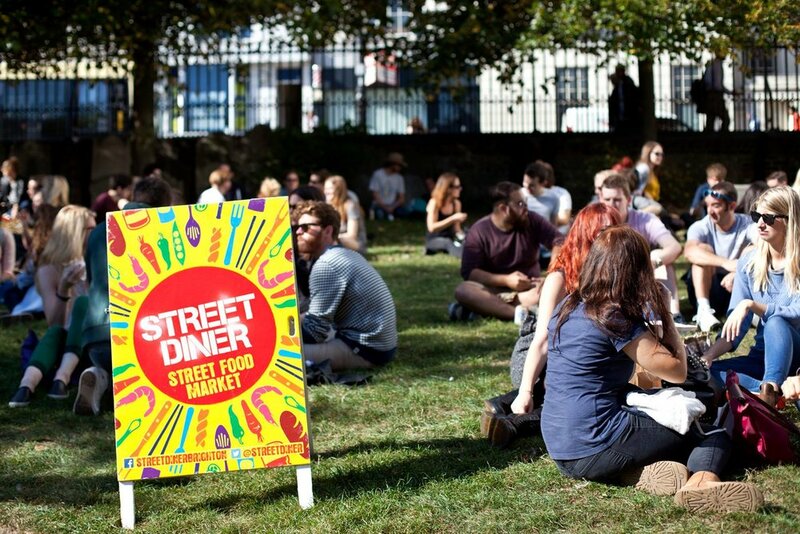 After meeting at a Hassocks farmers market and bonding over their enthusiasm for Brighton’s nascent street food scene, they opened Street Diner in Brighthelm Gardens. They now have 14 stands a week, including local culinary legends like Olly’s Fish Shack, Kitgum Kitchen and Baby Bao, and are big believers in sustainability. If food is the way to someone’s heart, Christine and Kate stole ours years ago. Entrepreneur, writer, editor, coach, content and communications expert, athlete: Fiona is a true polymath. When she’s not leading her boutique agency supplying content for endurance brands, she’s the legs and lungs behind Endurance Women: a community for women who love endurance events. She’s awesome just, uhm, don’t try getting in a race with her. PLATF9RM members may remember the lovely Jess from her time working Front of House in 2018. They might not have been aware that Jess has her own ethical fashion brand called Ilk+Ernie, known for their standout patterns and Indian influences. They’ve now merged with the designer Lucy +Yak (whose dungarees you’ll see on every Brighton street) and are opening a shop on Tidy Street. It’s a match made in dunga heaven and we are so pleased for Jess: she puts everything (and a little more) into Ilk+Ernie. Save a pair for us, please. Toni has ten years of experience in the charity sector and is now putting that to exceptional use with her own project: The Social Society. Born out of meet-ups that started in 2015, The Social Society has over 1000 members keen to inspire social change through community projects. Whether its fundraising, gardening groups or free cookery classes, they help six extremely deserving local causes: Audio Active, The Real Junk Food Project, Soapbox Postcards, Gig Buddies, Emmaus and Forward Facing. Heidi left her career as a teacher to study garden design and horticulture. Since then she’s gone from strength-to-strength and her business – Heidi Joyce Gardens – is flourishing in a traditionally male-dominated world. She’s an advocate of ‘genius loci’ which loosely means she’s into sustainable systems of design that retain the spirit of any location. An ardent feminist and relentlessly upbeat soul, she’s a light in every room (and garden, obviously). Feminist bookshops played an intrinsic role in feminism’s second-wave of the 1970s and 1980s. As well as selling celebrated and important work by females, they were safe spaces where ideas would merge and multiply. The rise of Amazon might have seen them fall by the wayside, but we’re psyched that Ruth Wainwright is going to be leaving her finance career behind and opening The Feminist Bookshop this year. They had a pop-up at our ‘Kickass Women’ event and the books were flying out. See you by the shelves. Frances took over as CEO at Clocktower Sanctuary in 2017 after a diverse career working in the charity sector. Clocktower is Brighton’s only daycare center for Brighton’s 16 to 25-year-old population; a fantastic, positive space where they can get support and start on the road out of poverty. In 2018 1,055 young people approached Brighton and Hove Council (a 40% increase in two years) so their service is, sadly, becoming more crucial by the day. According to the PR company that dreamed up the concept, Blue Monday is the year’s most depressing day. Supposedly the combination of giving up our favourite things, empty bank accounts and S.A.D-influenced ennui has us all pondering the vagaries of our existence. Therefore, we thought we’d tell you why we think January is, despite the PR hype suggesting otherwise, pretty great. 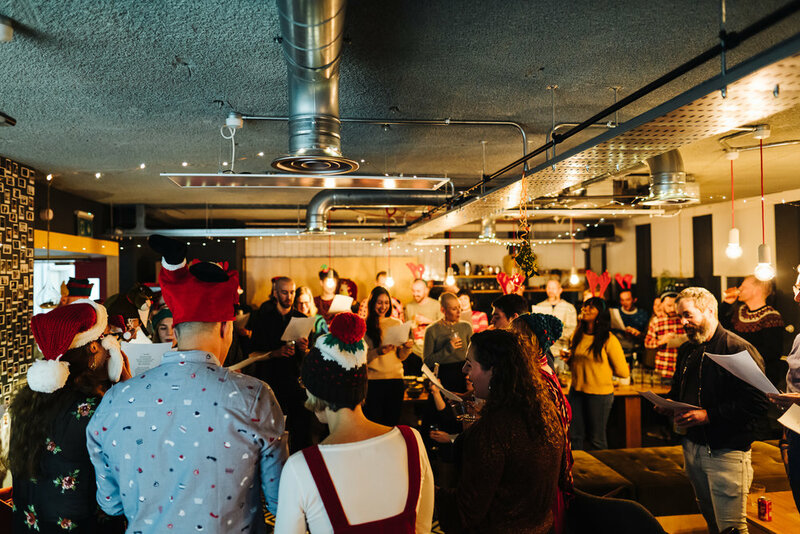 Christmas parties are fun but it gets too much and the effects of all that revelry can negatively fray the threads of our physical and mental health. January is officially a no party zone: kick back, fire up Netflix and cherish a clear head in the morning. Resolutions should be embraced, despite the fact that, according to a 2015 study, only 46% of us will be sticking to them come June. The key is doing it for the correct reasons. According to match.com, the busiest time for its online dating service is between December 26th and February 14th. So if you’re dating light is firmly green, now’s the time to get that motor running. The jury is still very much out on whether money can make you happy, but not having money can allow you to use your time for personal growth. Instead of getting wavy in the pub, tonight you’re going to stay in and read a book. Turn those perilous January finances into a positive and finally get round to reading Anna Karenina. 6: PLATF9RM has loads of free stuff on! According to Skyscanner, buying an international flight is potentially 36% cheaper in January. So if you can find a few extra pennies, book yourself a winter trip and get some vitamin D in those bones. 8: There’s never a better time to join the new business revolution! According to 123Reg.com, we Brits are 10% more likely to start a new business in January, with the amounts doing so growing at a rate of 20% annually. This means that in January we’re being more inspiring, more creative and more resourceful than ever! Go you, go us, go EVERYONE. 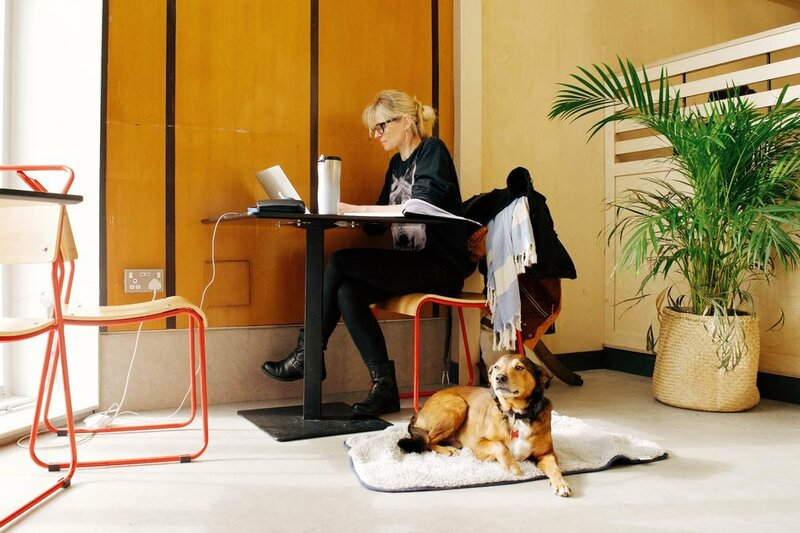 Going freelance sounds idyllic, right? Working 24/7 on your passion. Clocking-in wearing your PJs. No 9.30pm emails from your boss. Long holidays and living the digital nomad life from a beachside cafe in Thailand. But that’s not the reality (for most freelancers) is it? Going out on your own can be incredibly rewarding but being successful takes dedication, desire, bloody-mindedness, and a hefty sprinkling of talent. According to The Association of Independent Workers and the Self-Employed (IPSE) there’s over 2 million freelancers in the UK, and they contribute £119 billion to the UK economy. If you’re thinking about becoming joining the gang this year, here’s some advice. Everyone loves being praised for good work but appraisals are something most employees dread. Once you’re fending for yourself in the big bad world of freelance, the idea of someone taking the time (a whole hour!) to sit down and tell you relatively objectively how you’ve performed that year will feel like luxury. One idea could be to find some similar-minded pals and set up an appraisal day where you take it in turns to discuss your successes, failures and roadblocks from the past year. Check out You’re Doing Great! for guidance on this. As a freelancer, you’re going to live and work by the relationships you build. “You're going to need to get your name out there,” says Matthew Beck, Managing Director of Lightspeed Digital and member of Brighton digital networking group, The Farm. One of the most most-cited reasons for going freelance is focusing on what you love. But it’s not as simple as that! 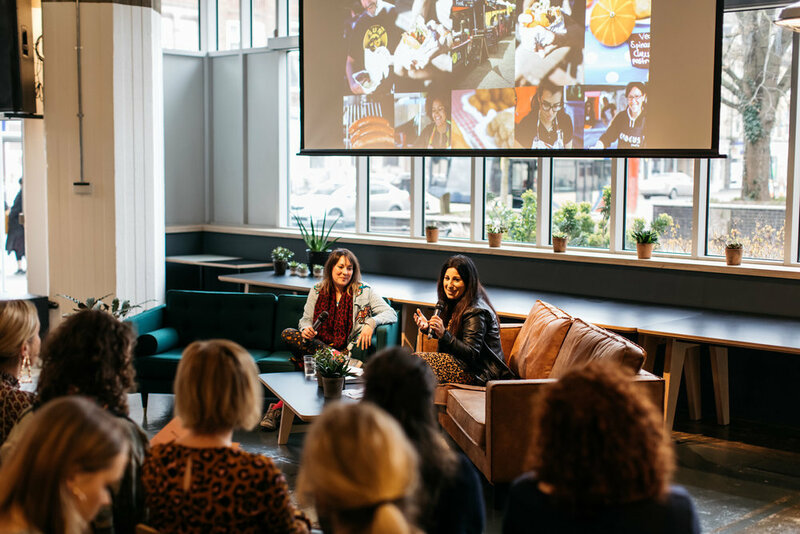 “It’s certainly true that you’ll be able to steer your business in any way you choose,” says Martine Warburton, co-founder of Huskii Studio in a blog for Brighton Digital Women. “But keep in mind that along with doing the bit you love you’ll need to provide you own IT support, accounts department, office cleaner, legal, business strategy and marketing. So, you may spend more time each day doing things which are not your forte. Without the various (and often maddening) systems that companies put in place, you’re going to have to learn to manage your diary, juggle your clients and generally maintain a professional demeanour. There’s a whole world of apps and tools that will help you. Use Toggl to track – to the second – how much time you’re spending on each client. Trello is perfect for step-by-step project management. Shake will help speed up your professional contract-making skills and Wunderlist will help you create the ultimate, anxiety-beating cross-device to-do list. Much of the guidance out there suggests freelancers should save a financial wedge – maybe six months of outgoings – before making the leap. This is wrong, according to Toby Moore, Co-Founder and Director of Content Club. “If you want a successful start at freelancing, get some clients. Side hustle for three months, six months, a year… whatever it takes. Find your time; whether it’s on the train, after dinner, or on the weekends. Go to people that know you and know that your good and tell them you have a dream, you want them to be your first client and you are going to prove you can do a great job before you make the commitment to go full-time. We say that humans are social animals and, though the internet perpetuates the notion that we can nurture real relationships from behind our laptop screens, nothing makes up for being in the room with people. Even if you’re still working out of your bedroom, make time to be with like-minded folk: meet clients in coffee shops; go on a walkshop (a cross between a meeting and a workshop); go to dinner with your freelance pals and moan about the travails of invoice chasing. Better still! Join a coworking space and live amongst your bredren. Should you ever work for free? It is a question that raises the temperature of freelancers like no other. There are some that say you should never offer your finely honed skills for nothing, and that by doing so you validate bad business habits and create a working environment that increasingly excludes those from lower income backgrounds.